gift sets, palettes, brushes, nail polishes... There’ll be plenty under the tree (again) this year! hair products featuring pared-down packaging and a pure look...say “oui” to Ouai! 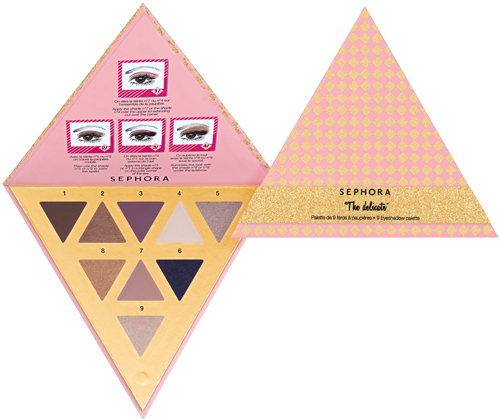 Spotlight on makeup: The arrival of Becca at Sephora means: makeup palettes and highlighter primers, products for concealing imperfections, clever accessories and lots of pretty things to help you get your glow back! 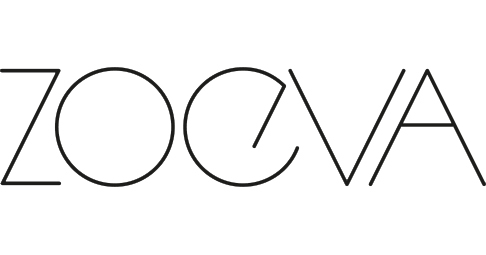 #Wanted at Sephora: We’ve got a major crush on Zoeva, a German professional makeup, accessory and brush brand. And on Temptu, with its airbrush that promises flawless, effortless makeup. 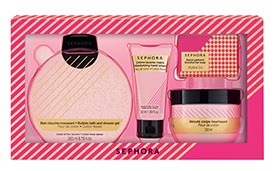 Spotlight on Made In Sephora Innovation: gift sets, palettes, brushes, nail polishes... There’ll be plenty under the tree (again) this year! 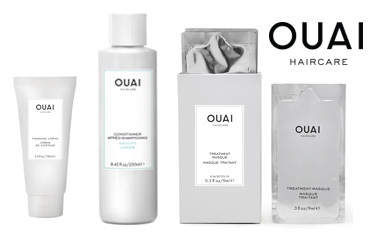 #Wanted at Sephora: hair products featuring pared-down packaging and a pure look...say “oui” to Ouai! Spotlight on Brand News: and because good things come in nice packages, Sephora is launching a range of collector’s gift packaging, illustrated by the French artist Malika Favre and available from the Gift Factory. 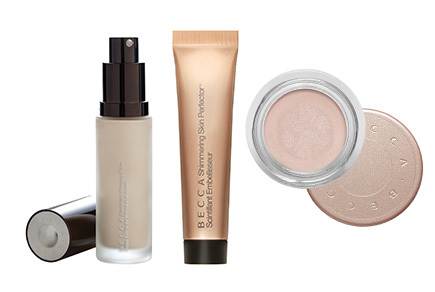 Have you heard of BECCA, the brand created by Australian Rebecca Morrice Williams now making its début at Sephora? Becca favours natural beauty, light and radiance - her life philosophy is “personalised perfection”: You need only test the products, which transform your complexion, to be convinced. 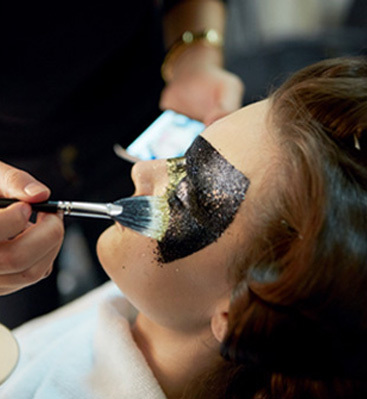 For example, the Lowlight/Highlight Perfecting Palette Pressed powder, the Shimmering Skin Perfector Pressed compact, the Shimmering Skin Perfector Poured Crème highlighter, the Shimmering liquid enhancer, the Mineral Blush, the Aqua Luminous Perfecting Foundation and the Backlight Priming Filter. And she hasn’t forgotten about accessories, either. 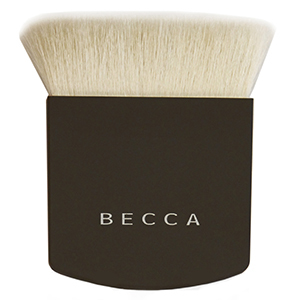 Take the cashmere Perfecting Brush with cashmere, to use with primers or liquid, cream or powder foundations. She is the queen of concealer (minus the caked-on effect): her Under Eye Brightening Corrector, Aqua Luminous Perfecting Concealer and Targeted Colour Corrector naturally blur whatever you want to camouflage, without product overload. - Brush sets (Brush set – Pink Elements Classic Set, Brush set - Pink Elements Complete Eye Set, Brush set - Rose Golden Luxury Set (Vol. 1, 2 and 3), Brush set - En Taupe Eye Set, Brush set - Bamboo Luxury Set (Vol. 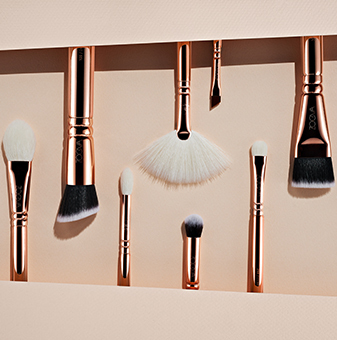 2), Luxe Complete Set, Brush Complete Set, Complete Eye Set, Luxe Prime Set, Vegan Prime Set, Vegan Brush Set, Classic Brush Set, Vegan Face Set, Classic Face Set for foundation, Classic eye Set and Bon Voyage Set). 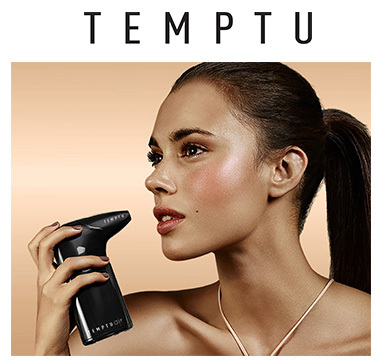 Temptu Air can only be used with Temptu Airpod makeup, which is sold separately. What is Made in Sephora? All kinds of makeup tools and products and skin care products inspired by daily life... Palettes, a nail varnish set, the kabuki brush, an enchanting bath set, etc. : go on, into the Christmas sack with you! Includes 1 tutorial + 4 steps to follow + 9 eyeshadows in gorgeous stylised colours that are ultra-easy to wear: suddenly, a smoky eye seems super-easy. No wonder this set is so “Happy”: it has everything our fingers need: a collection of eight fabulous nail varnishes and 1 manicure tutorial. Foaming bath-shower gel (260ml), Nourishing soft body lotion (250ml), Moisturising hand cream (50ml) and Scented soap (100 g): we bet Santa won’t be able to resist that lot! Ouai is the new brand that’s got our heads in a spin. And it’s stepping out at Sephora right now. We French can take the credit for that - “ouai” is an informal version of “oui” (“yes”). Quite the muses, aren’t we? Who’s in charge? Jen Atkin, the amazing hairstylist who is already legendary amongst international stars. This packaging is a gift! A minimalist spirit, lots of humour, ultra-chic graphics, intense colours, an effect that flits between “pop art” and the 21st century... : the brand in the black and white stripes (a perfect fit with our artist’s work) has done it again! The age and style of whoever you want to spoil, the amount that you want to spend etc. : provide all of this information through a personalised conversation and in return, you’ll be shown a selection of tailor-made gifts that are just right for the lucky recipient. With a billion users per month, Messenger is a natural way of interacting with the brand. Can it get any better? Yes - you can buy your gifts directly through sephora.fr and have them delivered to your chosen store using Click & Collect. 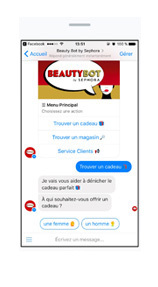 And as if that wasn’t enough, BeautyBot can also track the customer’s location and recomend the item that is available in the store closest to him or her. Available since November 17th,2016 via Sephora Facebook Messenger.